Although here in NH we've certainly experienced the snowiest winter in the past several years, other parts of the country experienced drought or anomalously warm temperatures throughout the current winter. A look at a U.S. winter climate study by NOAA shows California experiencing a major drought while Alaska experiencing its 8th warmest winter on record! 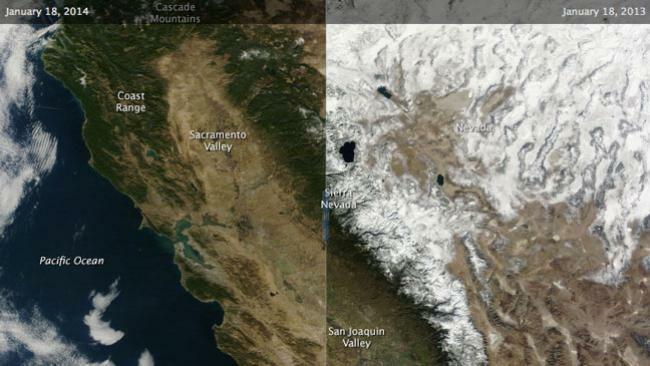 Here's a quick look at the drastically small January 2014 snowpack in California's Sierra Nevada's as compared to last winter in January. This snow is the main source of water for the millions of people living in San Francisco, San Diego, Los Angeles and the surrounding areas. Thankfully they received plenty of rain (and snow) during February to end the drought. However the decreased snowpack was enough of a scare for some CA cities to give another look into desalinization of seawater as a source of drinking water! Date Posted: March 17, 2014, 8:37 p.m.
A simple, short video on the science of artificial snow making from the New York Times. The ideal temperature for making snow is about 20 F (-6.6 C). However, we can make snow at temperatures above freezing if the humidity is low enough. Check out the video to learn more! Date Posted: Feb. 4, 2014, 7:45 a.m.
CoCoRAHS Albedo expands to Maine! 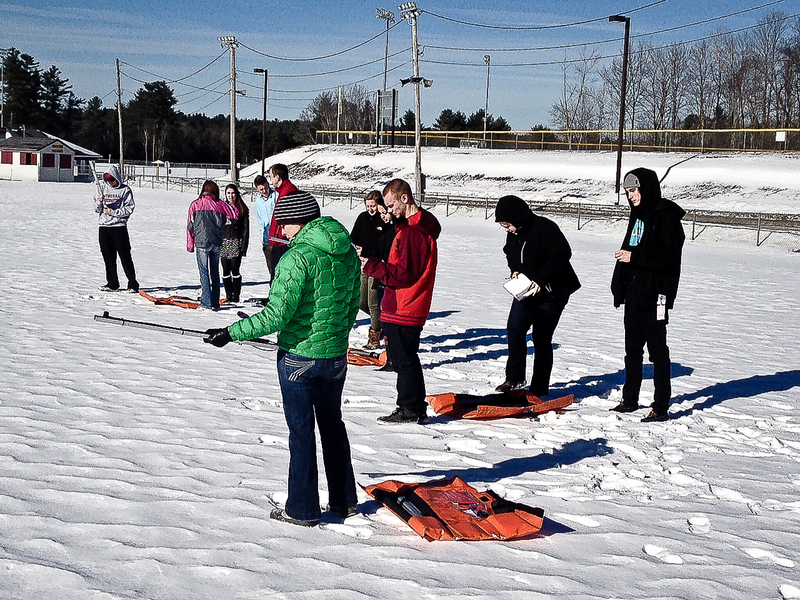 Please welcome our first interstate albedo observers from Windham High School in Windham, ME (ME-CM-100)! Windham High School also has the honor of being the 100th observer to join in Cumberland County, Maine. Welcome, Windham High! Date Posted: Feb. 3, 2014, 12:31 p.m. While you snow samplers in New Hampshire are gearing up for another icy blast from the north, I'm enjoying 60F here in sunny (and gusty!) Boulder, CO. The current deep freeze, like the preceding cold snap in early January 2014, is associated with the breakdown of the polar vortex. The jet stream took a big wobble in response to the disturbance of the polar vortex, bringing frigid cold air to the Northeastern US the first week in January. The polar vortex patterns we've been seeing this January are not necessarily being captured by the NAO, which is specific to the North Atlantic. If we expand to include the entire Arctic, we can see that the Arctic Oscillation (AO) has been in a negative phase (similar to a negative NAO phase). 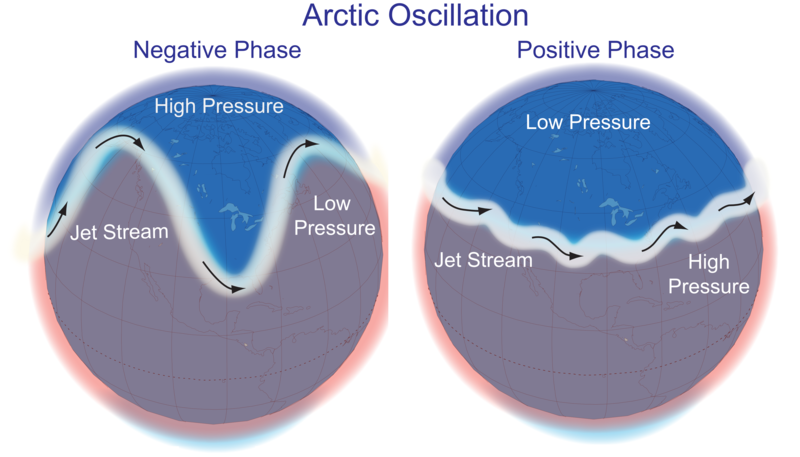 The negative AO phase is characterized by a very wobbly jet stream that bring cold, Arctic air southward. Date Posted: Jan. 21, 2014, 1:24 p.m.